Jamaican team doctor Kevin Jones said Usain Bolt had a cramp in his left hamstring. 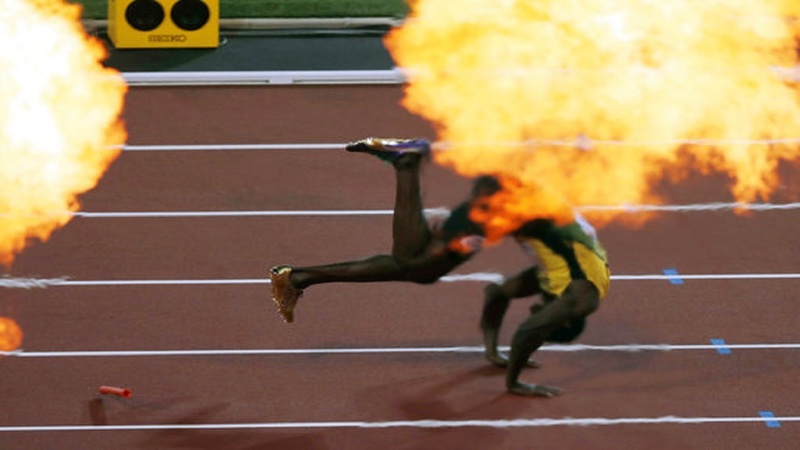 Bolt grimaced in pain as he was running down the finishing straight before stumbling and falling to the track. 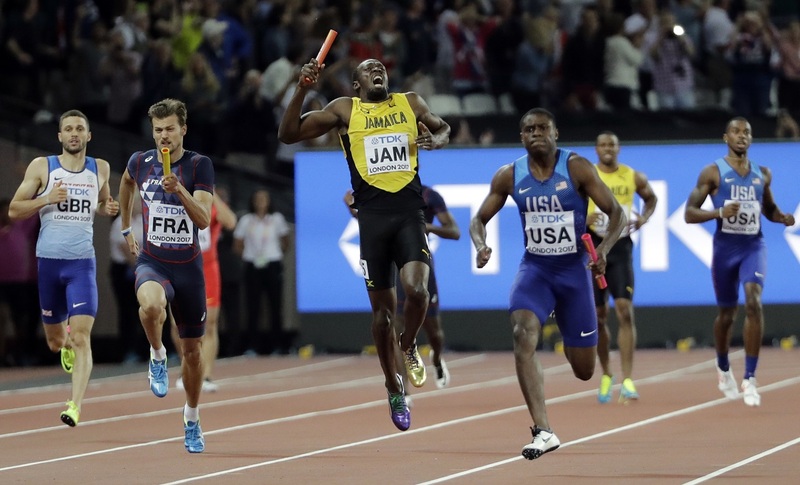 "A lot of the pain is from disappointment from losing the race," Jones said. "The last three weeks have been hard for him, you know. We hope for the best for him." Bolt failed to make it to the finishing line in his last race. The Jamaican great crumpled on the track with a left leg injury as he was chasing gold in the 4x100-meter relay at the world championships. Instead, Britain upset the United States to take gold in 37.47 seconds. The Americans were .05 seconds behind. Japan took bronze in 38.04.